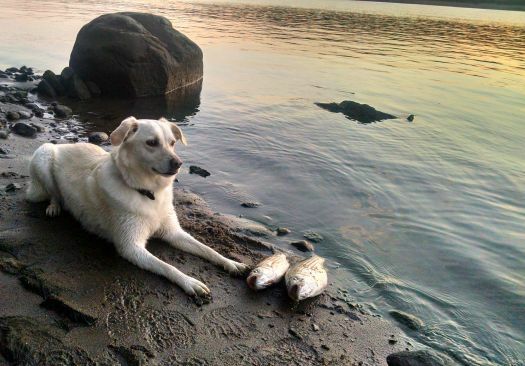 According to Connecticut Better Business Bureau, consumers can avoid pitfalls associated with unscrupulous pet sellers by being extra cautious and doing their research. Even though the wide majority of breeders are ethical, criminals know that consumers will often turn to the internet when looking for a supplier without doing their homework. The results can be devastating and expensive. 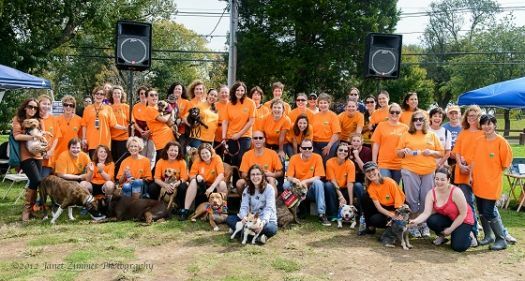 With spring in full bloom, a local non-profit organization, STARelief & Pet Assistance, is hosting its third annual “Doggy Day Palooza” Dog Wash and Pet Fun Day on Saturday, May 21st from 9AM to 3 PM at Stamford Dog Park, 39 Courtland Avenue, Stamford. Adopt-A-Dog strives to brighten and improve the lives of their rescue residents until they are placed in a loving home. The holidays and winter months always bring special challenges to provide the shelter’s dogs and cats with much needed supplies and support as they await adoption. Why not plan as part of your gift-giving this year a sponsorship, donation or Amazon.com gift package to assist Adopt-A-Dog with its mission? Mayor David Martin announced the appointment of the Animal Control Center Task Force following the Human Resources investigation into the Stamford Animal Control Center. The Task Force will hold its first meeting tonight, Monday, June 23, 2014, at 7:00 PM at the Stamford Government Center, 4th Floor, Board of Representatives Republican Caucus Room. Working dogs and pets give their human partners plenty to smile about all year round. During National Pet Dental Health Month in February, our pets’ smiles take center stage. Fidelco Guide Dog Foundation’s Dr. RuthAnn Solomon, DVM, says preventive dental care can increase your pet’s overall health and potentially decrease future veterinary bills. Connecticut Agriculture Commissioner Steven K. Reviczky announced today the state’s first reported case of Eastern Equine Encephalitis (EEE) infection in a horse for 2013. For the fifth year, PRAI Beauty, based in New Canaan, CT, will support The Humane Society of the United States’ (HSUS) Genesis Awards, which celebrate the role that news and entertainment media play in raising awareness of animal issues. The event will be held Saturday, March 23rd at The Beverly Hilton in Beverly Hills, CA. Entering its 84th year, the 2013 Ox Ridge Charity Horse Show will be held from June 11th through 16th at the Ox Ridge Hunt Club (OHRC). The show is a United States Equestrian Federation (USEF) Hunter “A” rated major riding competition featuring three-star rated jumpers ridden by Olympic-level and international equestrians. The show is known for its one- to six-foot show jumping exhibitions. Additionally, this year’s program marks the highly-anticipated countdown to the centennial anniversary celebration of the OHRC in 2014. Stride for stride, solid horse sense leads to scholarly achievement. For the second time in two years. 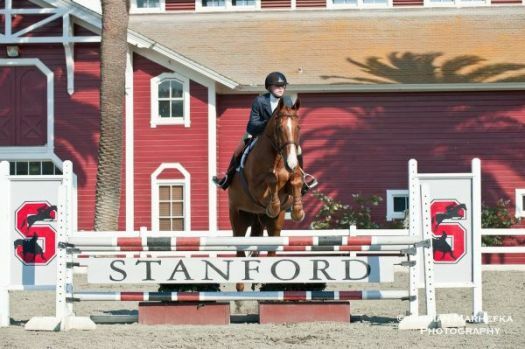 the Rhodes Trust has awarded a prestigious Rhodes Scholarship to an Intercollegiate Horse Show Association college equestrian athlete to pursue post-graduate study at Oxford University. 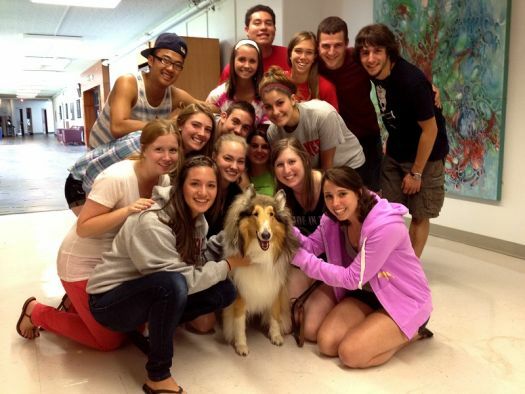 Beginning with Welcome Weekend on August 25, Sacred Heart University will have three new employees whose job will be to help students relax, have fun and lower their stress levels. The new staff members – Gracie, Jojo and Maya – walk on four legs and are covered in fur. They are part of the Dog Therapy program that SHU’s Campus Ministry team is introducing this fall. 50 years…14,000 pets. The Pet Animal Welfare Society (PAWS) in Norwalk has helped over 14,000 pets find new homes, and have provided medical assistance and critical aid to thousands of other pets. To celebrate this achievement, in conjunction with its 50th Anniversary, PAWS seeks a new logo, and asks graphic designers, artists and pet friends at large for designs. Contest participants should create a commemorative logo. The selected logo will appear on PAWS printed materials and fundraising merchandise. 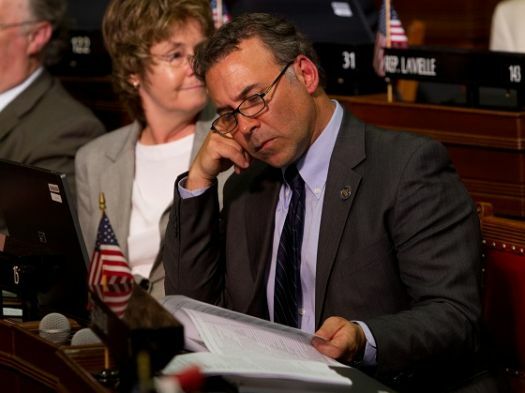 State Representative Fred Camillo, from Cos Cob, applauded the State House of Representatives for unanimously supporting the Pet Lemon Law (HB 5409) last week which Camillo cosponsored this year to protect the wallets and hearts of Connecticut families who bring pets into their homes. 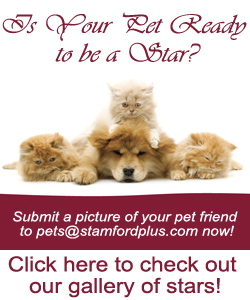 STARescue, a community based service organization, will be hosting a pet adoption event on Saturday, May 5, 2012 from 12:00 PM to 3:00 PM at the High Ridge Shopping Center in Stamford. In addition, STARescue will celebrate the grand opening of the Pet Food Pantry where dog and cat food will be distributed to those families that have fallen on hard times. Debbie Danowski, Ph.D., associate professor of Communication and Media Studies at Sacred Heart University, has her Advertising and Public Relations Practical Applications students working for H.O.R.S.E. of Connecticut (horseofct.org). H.O.R.S.E. 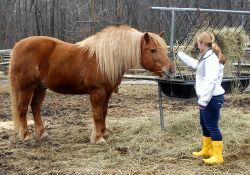 stands for the Humane Organization Representing Suffering Equines, located in Washington, CT. Professor Danowski has been an active volunteer since November and said she was moved by the organization’s enthusiasm and commitment. Tuesday, Senator Richard Blumenthal (D-CT) and Representative Walter B. Jones (R-NC) introduced the Canine Members of the Armed Forces Act. The legislation would streamline the adoption of the military working dogs after they retire and improve veterinary care for them at no expense to taxpayers. With 20 years in the field of veterinary medicine, Dr. Craig has launched Gentle Goodbye Veterinary Hospice & At-home Euthanasia for pet owners in Fairfield and Westchester counties. The practice provides home visits to give comfort care to pets with terminal illnesses and when it is time, to euthanize the pet at home, avoiding a final stressful trip to the vet’s office.